As family and friends move away and getting around becomes increasingly difficult, seniors may socialize less. Fortunately, companion care services can help them receive the support they deserve. From long walks through the park to intimate chats over tea, these caregivers share fulfilling experiences with their clients and assist them in other ways as well. 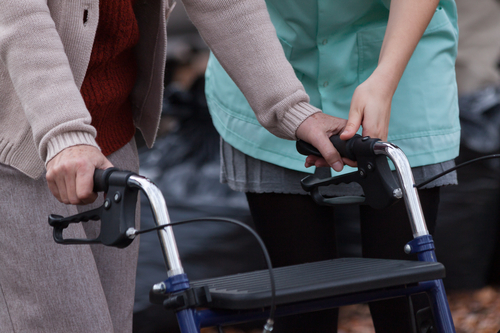 A companion caregiver helps ensure that seniors remain safe and secure each day. Whether they need assistance walking down the stairs or remembering to take medication, these professionals provide the assistance many seniors need to stay safe. Exercise is important at every stage of life, but this can be challenging with age. Fortunately, a companion caregiver can help loved ones stay healthy and have fun. Whether they’re playing table tennis, taking a walk, or going to an aerobics class, there’s always an exciting way to stay fit. Sometimes, people just need to talk to someone whom they can trust. A companion caregiver will always be there to listen and be a shoulder to lean on. After retirement, many elderly individuals need more activities to pass the time. From gardening to chess, a companion caregiver can come up with fun ways to spend days together. This will keep loved ones’ minds engaged, an essential bonus that will serve them well as they age. If you think your loved one may need companion care services, turn to the highly trained team from Aisha’s Divine Setting Home Care in Moncks Corner, SC, offers the personalized in-home assistance seniors deserve and have been doing so for over 14 years. To learn more about the home care agency’s companion services, visit the website or call them today at (855) 277-8885.